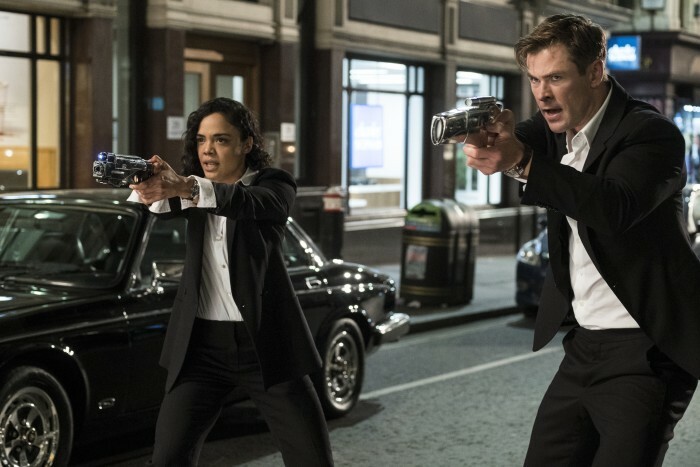 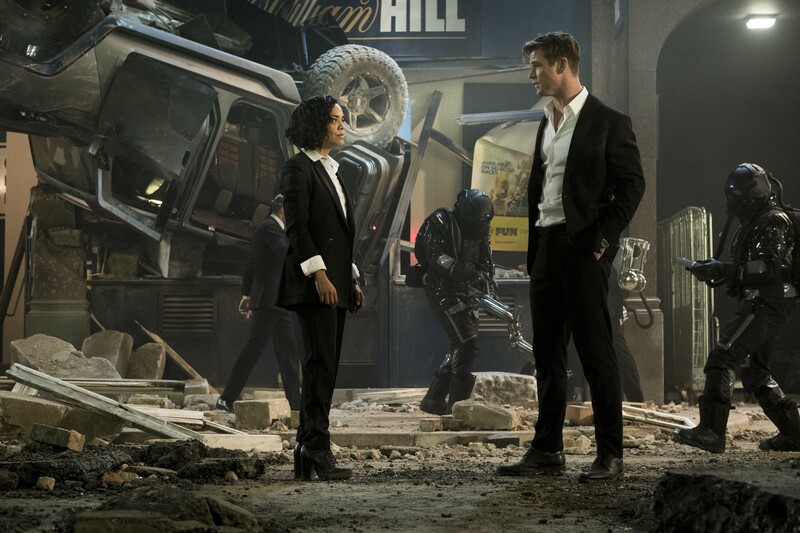 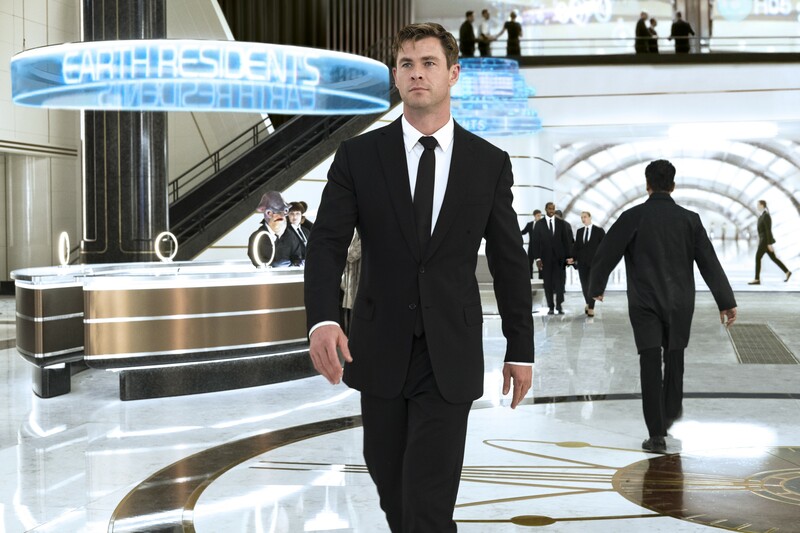 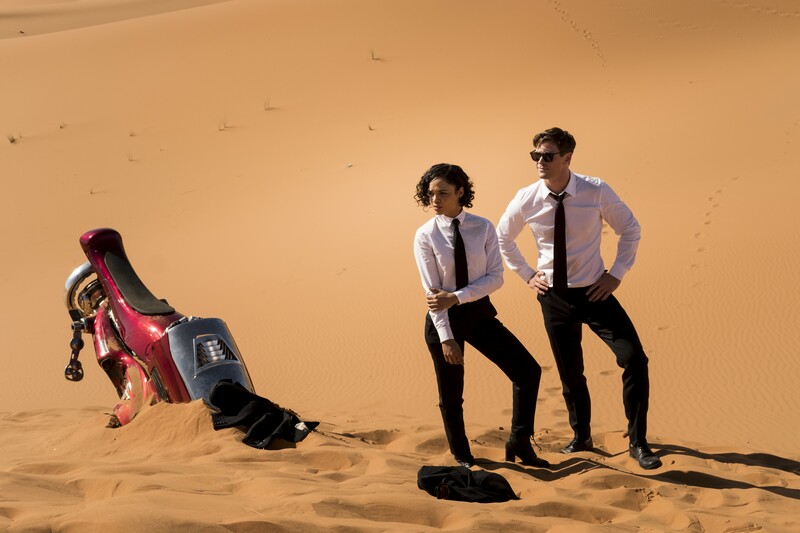 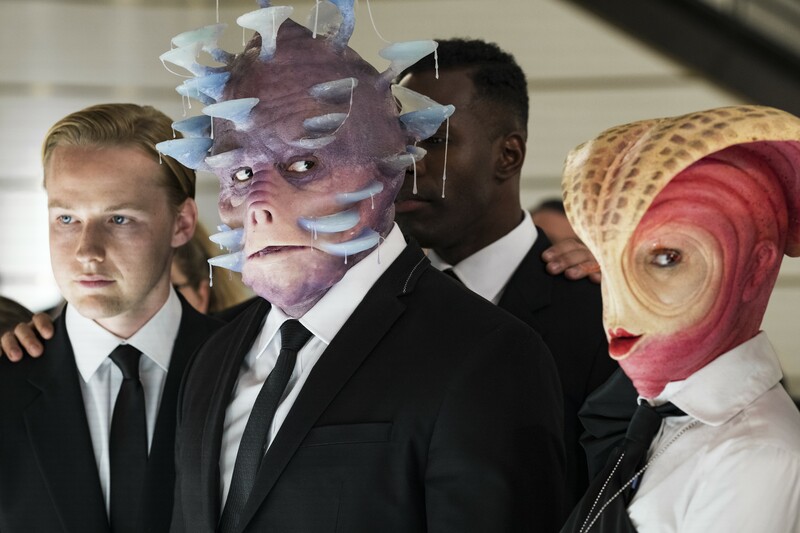 Sony has released a batch of high-res images for Men In Black International featuring Chris Hemsworth, Tessa Thompson, Liam Neeson and a look at the aliens. 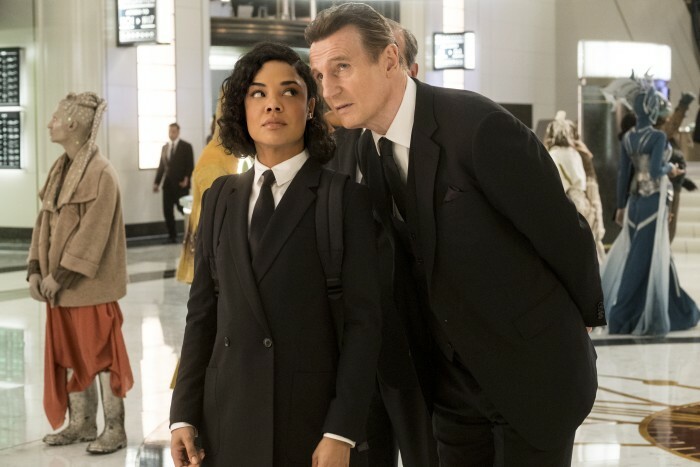 Men In Black International has a June 14, 2019 release date directed by F. Gary Gray also starring Emma Thompson, Liam Neeson, Rebecca Ferguson, Kumail Nanjiani, Rafe Spall, Laurent Bourgeois, and Larry Bourgeois. 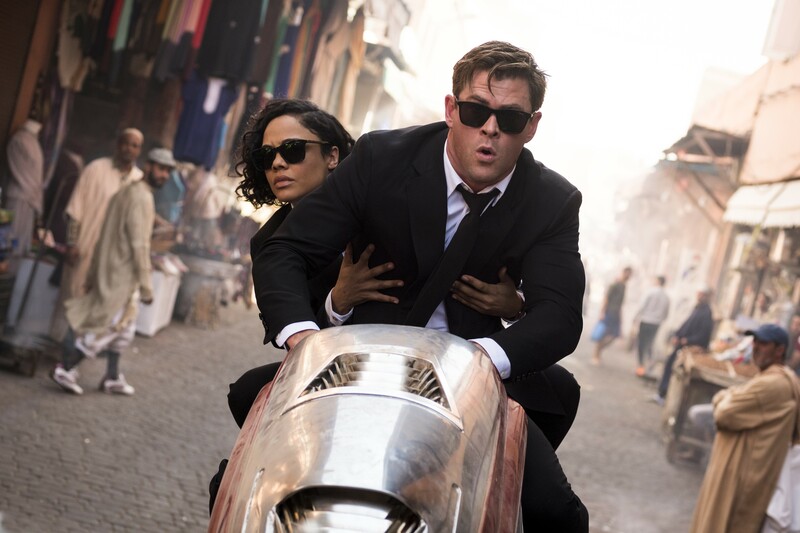 The film is written by Art Marcum and Matt Holloway, based on the Malibu Comic by Lowell Cunningham, and produced by Walter F. Parkes and Laurie MacDonald. 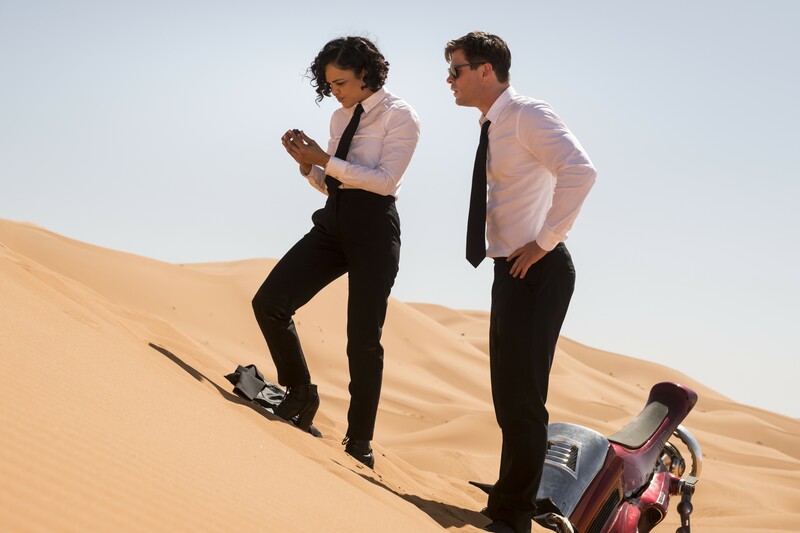 Photos Credit: Giles Keyte. 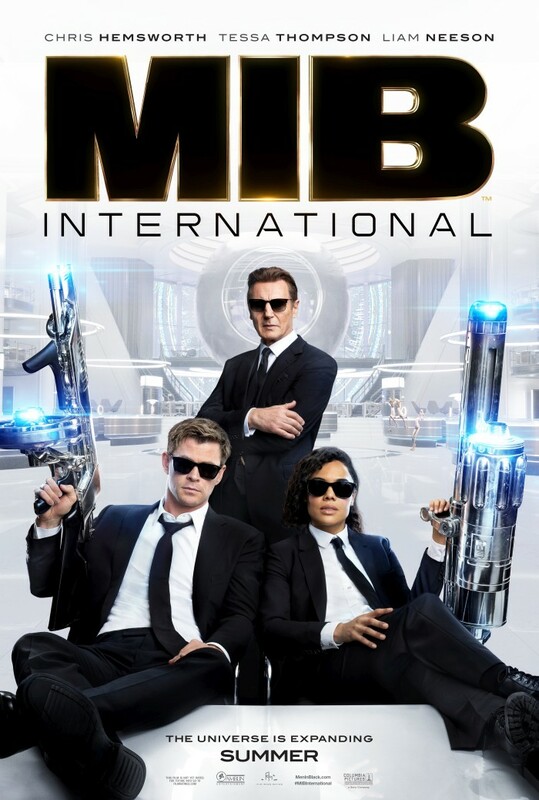 © 2018 CTMG, Inc. All Rights Reserved.